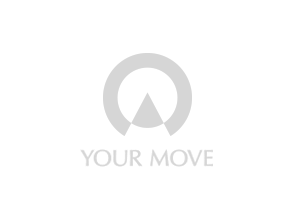 Your Move offer cover to protect your rent payments with Rent Protection and Legal Expenses Insurance – allowing you to predict your future finances with confidence. Despite the thorough vetting we always undertake, sometimes unexpected circumstances arise. Unemployment, inability to work due to sickness or marital breakdown can all lead to tenants not paying their rent. The consequences for you, as a landlord, can be serious. You could find that you're unable to keep up with repayments on a mortgage or secured loan for the property. You also risk incurring legal costs if you need to gain possession of your property. Please note for these insurance products terms and conditions apply. The information below is a summary only. You will receive a full policy document upon application. This policy will set out the terms, conditions and limitations of cover provided under the plan. If you wish to move into the property then the cost of accommodation for you and your family (up to £100 per day) is paid for up to 30 days. We will identify when a claim needs to be made for rental arrears in the event a tenant does not pay rent and automatically process this on your behalf. Talk to one of our friendly insurance advisors on 01392 849 758^ of complete the contact us form for more information on how to ensure you will be able to keep your income safe and regain possession of your property. 100% of monthly rent for up to 6 months of the contract if your tenant defaults1. Legal expenses paid for costs arising from regaining possession of your property from a tenant. Funds paid to evict squatters who have gained unlawful access to your property (the limit of cover for Rent Protection, Legal expenses and squatters is £50,000 for any one claim). If there is damage to the property which must be repaired before the property can be re-let, then 50% of the rent will be paid for up to three months. Talk to one of our friendly insurance advisors on 01392 849 758^ for more information on how to ensure you will be able to keep your income safe and regain possession of your property.